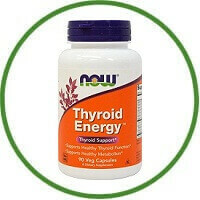 NOW® Thyroid Energy™ is a complete nutritional supplement for the support of healthy thyroid function. 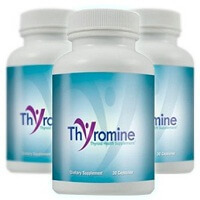 NOW® has combined Iodine (from Kelp) and Tyrosine, the two integral constituents of thyroid hormone, with the minerals Selenium, Zinc and Copper, to assist in its production. In addition, NOW® Thyroid Energy™ contains Guggul Extract, an Ayurvedic herb known for its ability to support a healthy metabolism.